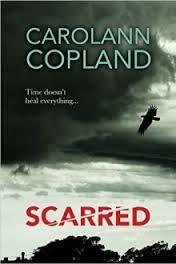 BleachHouseLibrary.ie: Book Review - 'Scarred' by Carolann Copland. Rory McGee has made some bad decisions in life. Marrying the wrong woman, abandoning his family, running away from the truth surrounding his girlfriends death. When he spots politician, Fergal O'Gorman, on National TV he vows to unveil the truth. But will he destroy any chances he had of reconciling with his two daughters? Was returning to Ireland a mistake? 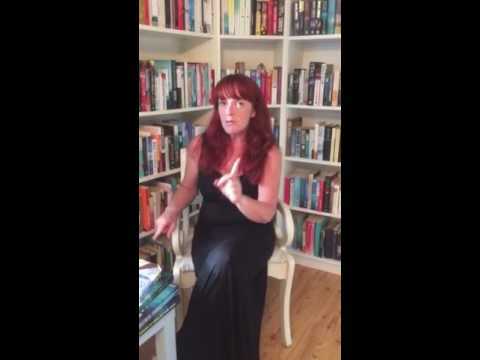 Carolann Coplands second novel is written from a male perspective. A man who has managed to systematically drag himself through life. Finding himself shackled in an awful marriage at a very young age, Rory does what he thinks is best. He leaves. His daughters have grown up without him in their lives and he hopes he can make up for this before its too late. But the memories of losing his one true love are a constant presence in his gut and he struggles to let go of his obsession with Maria. The need for revenge overtakes him when he sees the man responsible for Maria's death and he is determined to see the politician brought to justice. Even if that means he may lose his family all over again. There are a few links to the authors debut novel, Summer Triangle, in this story. Some of the characters cross over but not so much that you can't read this as a stand-alone book. This is tale of disjointed families and constant regret. Set in a Donegal town, the main story is centered around a handful of people who are all connected, even if they don't want to be. Rory and Maria were both the victims of circumstances and seemed drawn to each other, united by their situations. A chance reunion in London leads to a chain of events, resulting in Maria's death. In the present day, Rory is struggling to let go of his past. The book has a mixture of youthful enthusiasm and adult realism. Carolann is a talented writer who uses gentle language and melodic prose. There is an over-use of character names within the dialogue, especially when there are only a couple of people conversing. The story is not fast, rather it rolls out at a gentle pace. It is elegant and has an unique Irishness about it. Very different in style to her debut, this is less of a thriller and more of a study of human frailty. Dialogue issues aside, this is a breath of fresh air in the genre of contemporary Irish fiction. Scarred is published via Emu Ink. You can read my review of Summer Triangle HERE.